I will be sharing Light Language and new topics downloaded from my Satr Guides, Channeling new material. Join this world’s top, highly gifted minds in exploring literal growing consciousness higher dimensional, spiritual… inter-related geopolitical, social, cultural & interpersonal change issues, and strategies to deal with these in the coming years. 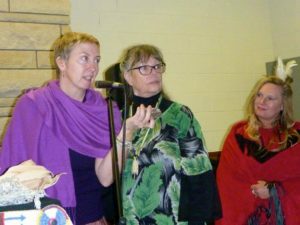 We truly hope you will gain new knowledge, insights and spiritual wisdom shared by our speakers, including noble Native American, Indigenous, Hawaii, Aboriginal teachers, and others, from these upcoming unique events. With these experiences we hope will come great insight, knowledge, wisdom. And joy. inform & impart both practical and spiritual wisdom as we attempt to deal with the formative changes happening on our world today. You can be assured these transformational changes will continue, on every level, as we we progress into becoming a more awake, aware and enlightened species. Expect these conferences, and special events, to always be spiritual, heart centered & grounded experiences… with many opportunities for extensive two way dialogues between you and the Speakers. Mitakuye’ Oya’sin. All my relations, we are all related, we are all one. Right? Well, ultimately we are all children of the Creator, of Creation,likely, the greatest of mysteries. Therefore, come join us in the exploration of this journey together, we, this diverse human species on this beautiful blue planet. It is time to bring all of the tribes, all of the people, of this world back together. Expect these conferences, and special events, to always be spiritual, heart centered & grounded experiences… with many opportunities for extensive two way dialogues between you and the Speakers. beautiful blue planet. It is time to bring all of the tribes, all of the people, of this world back together. Amount: by ‘love donation’, at the door. Please bring a love donation so that we can simply cover our room rental cost for the afternoon. Expect this to be a highly enlighten-ing, dynamic and interactive afternoon with these special women. Hope to see you there! Serpent Mound Spring Seed & Water Blessing Peace Summit. 8:00 Chief Golden Light Eagle Teacher of The Star Ways, Chief Golden Light Eagle is one of the “original code carriers” of Turtle Island (North America). Nakota Sundance Chief Golden Light Eagle, is a member of the Nakota Ihunktowan Band of South Dakota, a spiritual advisor, and one of the seven Sundance Chiefs of the Yankton Nakota. Through years of prayer and ceremony, with a group of spiritual teachers, he has brought forth interpretations of the Star Laws. 10:00 Ojibwa Elder, Great-Grandmother Mary LyonsSummit. This inspiring Native woman is an enrolled Mvskoke Creek but also is Cherokee and live in Cherokee. She is a NATIVE AMERICAN MUSIC AWARD WINNER, who hosts “A Conversation with Dawn Karima”, a Native American talk show on Talktainment Radio and its affiliates. 4:00 Garrett Duncan was born and raised on the Navajo reservation. His clans are the Bitter Water clan born for the Red Running into the Water clan. His maternal grandfather’s clan is the Mexican clan and his paternal grandfather’s clan is the Many Hogans clan. He is from a small community of Sanostee, New Mexico and is an enrolled member of the Navajo Nation. Ambassador for the United Nations for over 26 Years. 6:30 Tad Kato Japanese Sword Dancer. Closing ceremony and Drumming Baba Jubal & Adam Ashe Ashe. Fire Performance by Felix Fire Fox!!! 11:00 Bobbie Joe Kuhl Merkaba Meditation w/ Channeling of Thoth This workshop will begin with a guided Merkaba meditation to take you on a far out journey! The Merkaba is a divine light vehicle used to travel to higher dimensions. Together, we will clear deep wounds from the solar plexus, which by extension clears the path for ultimate access to the higher heart. This meditation will raise each of you to a higher vibration as you learn how to utilize your personal Merkaba, your Light(mer) Spirit(ka) Body(ba). When you return from travelling between dimensions, Bobbie Jo will channel Ascended Master Thoth. Thoth will provide guidance and wisdom to this experience along with any messages you are to receive at this time. With the higher heart chakra activated, you will unlock another door to remembering your higher self. 1:00 Mary Lyons 3:00 Baba Jabal Is a percussionist, drum maker, storyteller and teaching artist. 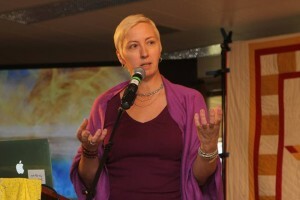 8:00 Tami Gringrow Seeds of intention, spirit of love. This is a 2 hour yoga and journaling meditation. 8:00 Matty Marr Metatron meditation thru sound. 9:00 Zack Kouns Sacred Plant Walk where I would talk about the herbal and nutritional benefits of the wild plants around Woodland Altars. 11:00 Aztec Dancers. Teaching the Ancient Aztec Dance to those that would like to learn. 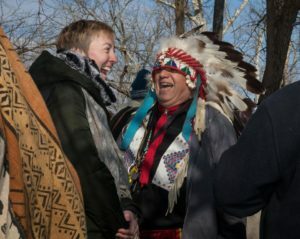 Adams County has a new, internationally significant event: Spring Seed and Water Peace Summit. Held annually in March (timed to celebrate the Spring Equinox), the Summit brings together delegations from the Americas and all around the world to talk and pray about and for International Peace. Its message: “It Takes a Village; All nations All races All my relations”. ​Organized by Locust Grove residents Thomas Johnson and Terri Sings With Ravens, the three-day event is held annually at Woodland Altars event center & campground just a few miles from Serpent Mound. Free and open to the public, the Summit is made possible by voluntary contributions and fund drives. ​A major focus of the three-day program is the celebration and blessing of ancient seeds from around the world; praying, energizing, and exchanging these seeds. “It will be these seeds that will be planted by the people; the pollen from the flowers will be carried by the bees and wind all over the world. The power of these seeds is the Power of Creation, the planting of a New World of Peace” say the event’s founders. Grandmother Tree a Blue Ash that is close to 400 years old. She is Sitting right next to and on top of a fresh water spring. (said to be the purest around) IT IS HERE WE ARE BLESSED TO HAVE OUR WATER BLESSING CEREMONY!!! LED BY GREAT GREAT OJIBWAY GRANDMOTHER Mary Lyons AND ANISHINAABE GRANDMOTHER Sharon Day. The water flows from the spring into a pond and eventually makes its way down to Brush creek that then can connect to the missouri and all the way to the Gulf of Mexico. WATER IS LIFE!!! I was a speaker at this wonderful conference… we connected with many Star People related to the Roswell event. I shared many messages from my guides about the current ascension process, how to manage getting through these ascension times, and shared some Light Language too. I was a part of this wonderful Light Language Communicator’s Roundtable (hosted by Tolec of the Andromeda Council) — we each channeled our Light Language, shared messages about Light Language (what it is for us), and some of our unique experiences. I will be interviewed by Sheila Berger of HeartTalks TV — discussing and sharing lots of star messages and light language. I will be interviewed by Brandon Beachum — discussing and sharing lots of star messages and light language. You can now tune in to the Positive Head Podcast daily Monday-Friday each week! Every Wednesday, host Brandon Beachum interviews a different consciousness change-maker that is helping to pave the way for humanity as we collectively transition into a state of expanded consciousness and awareness. On the other weekdays, Brandon features clips from various spiritual teachers, gives interpretations of his favorite quotes, shares a bit of mind-expanding or mysterious news, and digs into mind-expansive topics that will help keep your soul fed on a regular basis. It’s a daily conscious effort to keep a Positive Head and we’re here to help you keep your consciousness elevated! I’ll share many messages from my guides — about the divine feminine returning to the world, what’s happening during this time of ascension energies, how to manage the changes you may be feeling, and the beautiful outcome that is in store for us. I’ll speak Light Language throughout the call and share many messages from my star guides… including who they are, how to identify & work with your own guide & your magnificent body system. This will be an invigorating call! The Awakened Goddess Show broadcasts to approximately 700,000 households in the Greater Portland Metro area.The show is additionally available on: iTunes, iHeart Radio, Stitcher, YouTube and Libsyn. Note: I will be presenting on Nov 10 at 9am. private light language activation sessions in person. Closing Ceremonies on the Beach! Shakara Tosha is a metaphysical artist who speaks many multidimensional Light Languages + Guided Star Messages on a range of topics, recieved from various Guides (“The Arcs”Arcturian group +other Star Nations, Sasquatchtani Beings, Elementals, Jmmanuella, Divine Feminine aspect of Creator Spirit, Hathors, Joan of Arc Aspect, Stone + Tree Nations, and others). Shakara just returned from the Spiritual & Psychic Sasquatch Conference/Gathering and is sharing many messages about the Sasquatch — and continuing the conversation from her last show interview. I have had many first-hand encounters and downloaded messages from various Sasquatch tribes — I’ll share information about who they are, their purpose on earth now, how to connect with them, and various messages channeled from these incredible star beings. I will also channel live light language and messages from the Sasquatch beings. Channeled Messages + Spoken Star Language from Shakara Tosha and Her Sasquatch Guides: Who The Sas Are As Star Beings of Light, Their Work With Gaia + Humanity At This Time, Tools They Share To Raise Your Vibration, How to Connecting with Them, and Shakara’s Personal Interactions With Various Sas Tribes. Shakara Tosha Will Speak/Tone Light Language Codes to Activate Your DNA, Channel Messages From Her Many Star Guides (including Sasquatchatani, Arcturians, Feminine Aspect of Creator, The Grandmother Tree, Hathors, Dragons + Elemental Nations) For Your Ascension Enlightenment. She’ll Show Her Energized Artwork + Galactic Symbols, And Teach You How To Connect With The Sas + Your Personal Star Guides. Includes Light Language Exercises Plus Q&A Session. >> As time permits, I will offer 30 Minute Personalized, Channeled Sessions including Spoken Light Language, Star Guidance Message + Galactic Drawing ($44 suggested donation). I’ll also offer special discount rates for conference attendees who register on-location: 1 hour session ($88) and 1/2 hour mini-session ($44). Kewaunee and Kelly Lapseritis are hosting the second annual Spiritual and Psychic Sasquatch Event and Weekend Retreat on Friday September 1st through Sunday September 3rd, 2017 at the Chewelah Peak Learning Center in Chewelah, Washington. On behalf of the Sasquatch People, Star Elders, Mother Earth, and all of Humanity, we propose a spiritual and ecological approach to healing our planet and our own collective soul consciousness. We are all related, all children of Mother Earth, and it is our responsibility to live and work together to create peace and harmony for all living beings. The speakers for the 2017 Spiritual and Psychic Sasquatch Conference Event will share their own personal encounters with these sentient beings as well as the messages that have been shared with them to assist in improving and healing ourselves, relationships, and perspective realities. This year, we will also be offering workshops on various spiritual, metaphysical, shamanic, and self-help subjects such as meditation, learning how to use spiritual tools, psychic readings, energy artists, healing sessions, etc. which may be subject to additional fees by the vendors and workshop presenters. The Chewelah Peak Learning Center is beautiful wilderness retreat about 45 miles north of Spokane, WA and just a few minutes away from the 49° North Ski and Mountain Resort. This location is a perfect setting for this event and has many accommodations for everyone. Tent and RV camping is available on-site or you can also choose to bunk with others in the dorm room. There will also be food available on-site for purchase through a kitchen or organic food truck. The town of Chewelah also has 3 nice motels and a variety of restaurants and places to dine about 8 miles from the facility (as well as many places between Chewelah and Spokane). The premises has hiking trails, a pavilion, fire pits, and an amphitheater, and would present wonderful opportunities to connect spiritually with the Sasquatch People, nature spirits, and other sentient beings that are present. Shakara just returned from an incredible ceremony gathering at Serpent Mound in Ohio for the eclipse and she is fired up! I will share Many Light Language and guided messages about the Serpent Mound, the solar eclipse and the times of ascension we are now living in and how to navigate them. Better known as Hindustani Music on the sitar and surbahar. That occurred on the same day 2,000 years ago . And Michael Griska Hindustani Music on the sitar and surbahar. 2:30 Jeffery Wilson Repatriation of skeletons at Serpent Mound. 7:00 MEDITATION AT DAWN With The Red Tent, Carla Poluha and Tosha. 9:00 (Meet at Serpent Mound Parking Lot. $8.00 a car load. With Elder Bikbaye Inejnema DOGON teacher of the Kemetic knowledge. LED BY CHIEF GOLDEN LIGHT EAGLE. 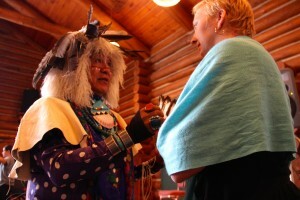 INIPI Ceremonies will be offered every evening at the Sundance Grounds down the road. They will be Ran by Robert White Mountain No drugs or Alcohol ( if interested we will give you directions at the time of the event. I was a speaker during this 4-day Live Online Summit (archive available) on 8/8 Lion’s Gate portal day. Join me live on Facebook today at 4pm (US Pacific Time) on the 8/8 lion’s gate — during this amazing FREE New Earth/New You Now 4-day Live Online Summit — presenting together with a handful of other incredible creative lightworkers + speakers! I’ll share spoken Light Language activations + Star Messages about our evolving new world + new you energetic blueprints that are activating now during our shifting ascension times…and discuss collaborative new energy projects. Please join the gathering live if you can! (live shows will also be accessible afterward). New Earth Energies, New Age theories, Eco Villages, Sustainable Communities, Collaborative and Sustainable Business, Alternative Currency, Mind Shifts and Mind Works with Consciousness, DNA upgrades and Consciousness evolution, Re forestation, Raw Food, Vegan food, Nutrition, Wellness in Mind Body and Spirit, Masc and Fem Balance, Synergistic social media and Alternative Media solutions, Quantum Physics and more. 5:30pm – Aislinn Kerchaert – Energy Therapy | Kundalini Goddessing | Earth Activation Altar-ation Art. I was interviewed on Darrel Nichols’ online Radio Show. I’ll speak live channeled light language and star messages! You can ask questions + get more information about connecting with me to support your lif journey in an incredible way! I offered a multimedia presentation at this monthly gathering event. Also offered private Light Language Sessions. 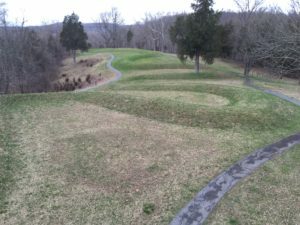 I shared Light Language at the Spring Equinox Ceremony at the serpent mound. I also shared Light Language messages at the Red Tent gathering. Julian Lauzzana what it takes for us to be able to feed ourselves like a self sustaining community. VERY IMPORTANT!!! 4:30 Dr. Diane Vickery. Meditation. 8:30 Chief Golden Light Eagle, Bobbie Jo Kuel and Friends. Deborah Brubaker about seed exchange table. 4:30 Bishop Mustafa Salahuddin Bey, Chief Spiritual Minister and Teacher of Indigenous Spirituality & Ancestral Education of the Washitaw Empire. 8:30 Bikbaye Inejnema, aka Bik (servant) is a teacher of Kemetic (ancient Egyptian) knowledge, cultural activist, healer, spoken word, rap artist and writer. 8:00 Earl B Hall can only be described as a seasoned professional entertainer. 3:30 Robert Studinski and Terra Slide show of Standing Rock. I shared many messages from my guides about the current ascension process, how to manage getting through these instance times with grace and ease, and shares some Light Language too. Join this free online series with other wonderful speakers. Join the movement…you’re capable of more than you think. Remove the barriers holding you back / Get the tools you need to maximize your life. It’s time to get what you want. Honored to be a part of an incredible free interview series with top experts who will show you how! Just a few tweaks could change your life. You will discover the practical, simple tools that can change your life. I was interviewed by Galactic Connection site owner Alexandra Meadors, featured as a daily blog post on her high-profile website. During the interview, I speak various star languages, and share a lot of information about the many messages I have received from the various Star Nations Guides who work with me, including what’s really happening during these ascension-shifting times and how to manage it in your lives and life in joy. In this very in-depth interview, I also discuss my spiritual path, speaking + drawing Light Language, and how I channel Energy Messages from my Star Nations Guides. 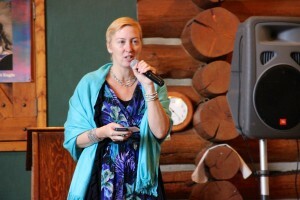 Galactic Connection with Alexandra Meadors… connecting minds and hearts everywhere to step out of the 3D matrix unilaterally. Even those of us who have done an immense amount of work are still learning how much the 3D set of rules and limitations has pervaded our recent outcomes. What you will learn as you listen is news, education, research, healing information, and out-of-this-world perspectives in regards to people, government, country, world, planet, aliens, UFO’s, Galactic Brotherhood, Ascended Masters, solar systems, ancient civilizations and beyond. The videos and the posdast are designed to get you to start seeing yourself and the planet you live on, in a more expansive view, recognizing that becoming spiritual is synonymous with becoming galactic. Higher dimensional beings will be visiting us, sharing knowledge, wisdom, and vibration that will trigger us beyond our comprehension. With our continuous upward shift in dimensionality, we are inescapably entering the need to bridge spiritual consciousness with cosmic awareness. What was once coined as weird and paranormal, has now become a typical daily occurrence throughout the world . It is no longer extraordinary to hear of other beings physically entering our sphere. And these other beings are not from the next continent over, but from our surrounding solar system and the galaxies beyond.We are now entering their realm of consciousness, and with this experience, it is essential for us to prepare and shift our perspectives gracefully, respectfully, and galactically. I was a interviewed as a guest speaker together with Chief Golden Light Eagle + Grandmother Mary Lightweaver on this enlightened radio station hosted by Michelle Anderson + Eric Rankin. I spoke Light Language messages and gave a brief background of my experiences with Star Nations + Light Language. Awakening Code Radio is a non-profit, global community talk-and-music radio show that exists to serve the greater good of all life on this planet (and beyond!). We hope you’ll tune in each week to feel the positive energy of the conversation and music! Chief Golden Light Eagle shared messages about the 11:11 and 12:12 laws. I shared some Light Language activations during the event. I spoke at this conference — shared Light Language + wisdom from the Star Nations I work with — information about the shifting times we are experiencing and hope for the future… together with a great panel of speakers. Star Knowledge Conferences, from Chief Golden Light Eagle, teamed up with the Earth Shift Conference to make this one POWER HOUSE Event! Ancient Wisdom and Ceremony perfectly blended with Art, Music and Healing! This was a gathering of conscious souls to activate our consciousness and empower us as we tap into higher dimensional wisdom. 3-plus days of amazing presenters and conscious frequency raising music. (This Gathering marks the 20th anniversary of the Star Knowledge Conference. Join Chief Golden Light Eagle and his tremendous presenters, along with Julian and all of the Earthshift people for four days which will magically alter reality! ART & MUSIC * HEALINGS * READINGS * SOUND HEALING * SACRED GEOMETRY * EMPOWERING WORKSHOPS * SPIRITUAL KNOWLEDGE ANCIENT WISDOM * EXPANDED CONSCIOUSNESS * INTERACTIVE PRESENTATIONS. I spoke at this conference — sharing Light Language and wisdom from the Star Nations I work with — information about the shifting times we are experiencing and hope for the future… and includes a great panel of speakers. Join this world’s top, highly gifted minds in exploring exosocial, exopolitcal and extraterrestrial contact… as they discuss key transformation and disclosure trends, geopolitical events and strategies to deal with them in the coming year. Each speaker has been chosen because he or she has had amazing out of this world experiences, one is a distinguished researcher, has contact with extraterrestrial races, a few from Andromeda, & many times of a higher dimensional vibration. He, or she, continues to have these extraordinary experiences… and with them comes great insight, knowledge, wisdom and joy. The focus of this specific conference is to help enlighten, inform and impart both practical and spiritual wisdom as we attempt to deal with the very real, continued political, social consciousness and transformational changes happening on our world. I was interviewed as an intro/overview of what I will present at the Shift Conference in October, 2016. Your hosts Janet and Dr. Sasha Lessin of the Sacred Matrix will be creating new paradigms of love for humanity to open doors of thought to solve the issues we commonly are engaged in together. Along with our guests we will give enlightening insights into new realms of thought and expand your conscious mind. Join us in mystic discussions about dreams and the nature of consciousness to the real life experiences of individuals who have traveled into deeper realms of the human potential for two hours of expansive discussions and topics. I shared various messages I have received energetically and physically from various Sasquatch beings about who they are as energetic Star Beings and how they manifest, their mission on earth at this time, and how they are working with Mother Earth plus all Humanity to raise our consciousness. I also shared star messages from my various Star Nation guides that include “The Arcs” (and Arcturian group) and others, and spoke Light Language and Star Language throughout the event. Kewaunee and Kelly Lapseritis are hosting the first annual Spiritual and Psychic Sasquatch Conference on Saturday, September 17, 2016 at the Chewelah Peak Learning Center in Chewelah, Washington. Our Elder Brothers, the Sasquatch People, have a critical message for humanity to share. Our speakers will describe the Forest People’s wish for the Human People to join with them and reintegrate the Council of our Star Elders and tell of their own experiences with these gentle Nature Folks. The way to begin to heal ourselves and our collective karma is to practice unconditional love, understanding, acceptance, and to help one another, which is the focus of this meeting. On behalf of the Sasquatch People, Mother Earth, and all of Humanity, we propose a spiritual and ecological approach to healing our planet and our own collective soul consciousness. We are all related, all children of Mother Earth, and it is our responsibility to live and work together to create peace and harmony for all living beings. I was interviewed by Host Lauren Galey for this popular web radio show — I offered an overview of my background and work with Light Language, and shares various messages and information about the shift we are now experiencing and also speak Light Language on the program. I also spoke Light Language during the show. Note: Also available are my special offers at a discount only through this show. These multidimensional Light Language messages begin to unlock your creative DNA codes and inspire you to vibrate higher and clearly and give you energy; many recognized or remembered hearing/speaking/manifesting a kind of Light Language in some form in their past. All recipients mentioned a new energized feeling in their mind + body overall, finding creative new ways of expressing + being themselves in the world with their own unique voice. Are you ready to step up and into your personal power? The power of Joy, Love, Abundance and Health that comes from doing what you love to do. This season of Quantum Conversations will help you with Quantum Transformation as you EMBODY LOVE and LIVE your passion! The cosmic energies arriving on our planet provide incredible support for each of us at this time by truly doing what makes our hearts sing. Your Passion is fuel for the creative forces of the Universe to give you your heart’s command. These Healing Conversations features Spiritual Teachers, Healers and New Paradigm Thinkers who will EXPAND your Consciousness, OPEN your heart, and EMPOWER you with your own self-mastery. Tune in each week as we Open Hearts, Empower Millions and Raise the Vibration of the Planet. 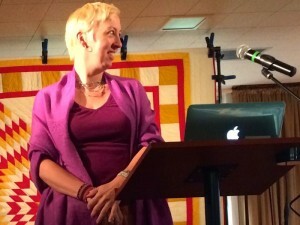 I spoke at the upcoming Star Knowledge Gathering June 14-16, 2016, in Iowa — sharing energetic messages about navigating the energetic shift that we are experiencing in the world, your unique frequency signature, and living your life as a creative work of art. I connect with these Arcturian guides called “The Arcs”, Magdalene energies, and other Star Nations including Sasquatch energy beings that teach about Love and Light. As a “creative inspirationalist”, I speak various star languages, draw and share “Light Language” messages that activate people’s creative DNA codes. Please join if you can–there will be many other wonderful wisdom keepers, spirit elders and modern messengers. I shared messages & Light Language and answered a few burning questions about reality, interacting with the Star Nations and our shifting times during this ascension process. 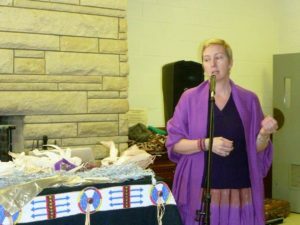 I shared some Spirit Messages received about the purpose, significance + energetics of Serpent Mound, including the importance of protecting + energizing our Seeds + Water, at this special Spring Equinox event. Seeds will be planted in our gardens the gardens of this New World of Peace. They are the seeds that we will carry with us for the seeds carry memories and these seeds are the link to life. The seeds are the link for the continuation of all the gifts the Creator sent to Earth Mother to grow and be fruitful, to feed the Animal Nation, 2 legged, winged and creepy crawly. Seeds to flourish as it does energy grows and procreates, manifests, and gives life to the world. It will be these seeds that will planted by the people , in our gardens then the pollen from the flowers, corn and squash will be carried by the bees all over the world. The power of these seeds are the Power of Creation, the planting of a New World of Peace. I was the Master of Ceremonies for this event… and shared Messages from “The arcs” throughout the event. During the 3 days of the ceremony I also offered private 1:1 Light Language Guidance Sessions + also creation of unique Energy Frequency Signatures.